We offer a number of routes into the business for candidates who are starting in their career or looking for a career change. Throughout the year, we advertise positions and welcome applications. If no vacancies are currently available, you can register your interest on our portal here. Short work experience opportunities and longer industrial placements are available for young people who are eager to gain valuable experience in a professional organisation and develop their skills. 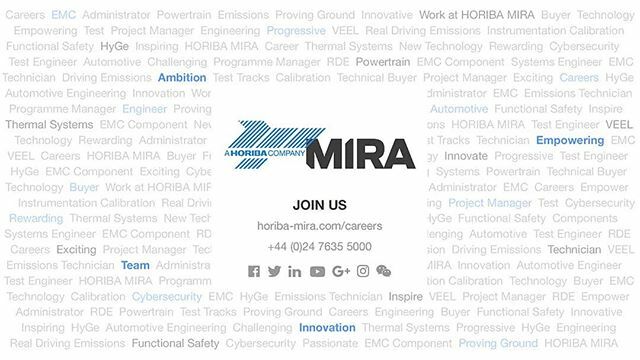 This also provides a great opportunity for students to see what HORIBA MIRA has to offer and many of our placement and work experience students have successfully secured roles with us after completing their studies. For further information, please check our current vacancies or register your interest for opportunities as they become available. Our graduate schemes empower new graduates with choices and allow us to identify individual learning paths to provide individuals with the best personal and professional development opportunities. 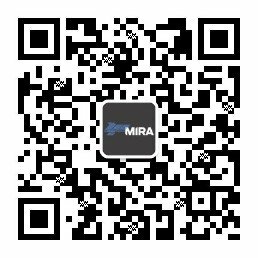 With access to our cutting-edge facilities, training and development through the MIRA Academy, mentoring scheme, and ‘buddy system’ connected with previous graduates, the structured support we offer facilitates a range of experiences to help build technical expertise and shape future potential. Throughout the journey with us, graduates work alongside recognised industry experts and leading consultants who provide support and mentoring towards Chartered Engineer status. HORIBA MIRA has a strong history of recruiting apprentices and some of our most senior staff started their careers as an apprentice. Recruitment demands vary from year-to-year but, as our apprenticeships are based on need, they are recruited as permanent roles with progression into long-term careers within the business as opposed to fixed-term contracts. The recent Government change in funding also allows us to use apprenticeships for progression within the business and to bring in suitable candidates from other sectors looking for a career change.